Do you sometimes wish you could go riding with someone who shares your passion for the road, but you don't know where and how to meet them? With the Rider Locator Tool, you can instantly locate and meet other riders in the area based on your riding preferences, skill level, bike type and locale. 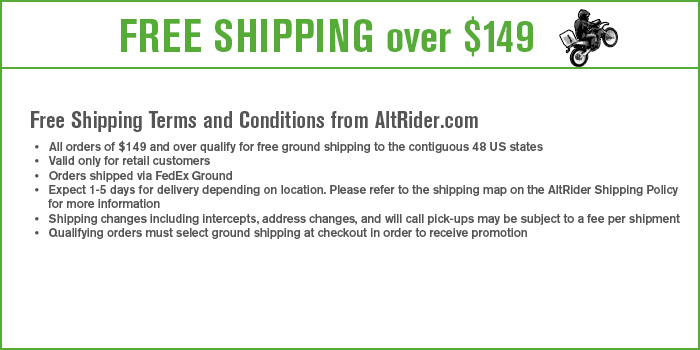 You don"t even have to be a member of the AltRider community to search our database (though you will need to sign in if you want to contact riders you"re interested in meeting). Check out our Rider Locator Tool and give it a try! You never know who you might meet. 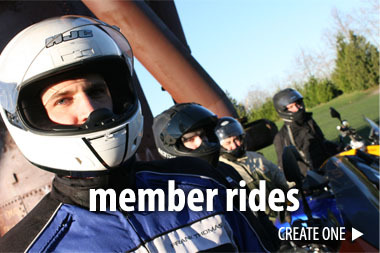 AltRider members can organize and manage rides using the Rides section of the website and the Rider Locator Tool. The rides can either be public (open to all participants) or private (for invited members only). The organizer can select members to be invited based on a certain criteria, send group or personal communications, and track responses. The invitees can exchange comments and post photos on the event thread. Our Events Calendar is designed to provide you with quick and easy-to-find information on upcoming motorcycle related events. You can even organize and announce your own rides by filling out a simple form, which will then be posted by our Calendar Editor after approval. We love to throw a good party! From movie screenings to product release parties, if AltRider hosts it, you can count on a great time and meeting riders who share your passion for the adventure lifestyle. AltRider events are always fun, but there are lots of others every month you won"t want to miss. That"s why we keep our calendar filled with information about rallies, tradeshows, seminars, charity rides and more. Take your riding and photography skills to the next level by joining in the AltRider photo challenges. We want to see the best places, road blocks, and open roads you"ve encountered from the saddle of your bike. The AltRider photo challenges are for riders who take the road less traveled just to get that dirt therapy or an amazing view. It's for those who capture their everyday experiences on the bike, and offer a perspective most of us fail to stop and appreciate. We hope these challenges will take you to new places and new adventures that you'll share with the rest of our riding community. Interested? Photo challenges will be announced several times throughout the year. We'll select themes that coincide with the Adventure Motorcycle lifestyle, and invite you to share images of the exciting and beautiful sights you experienced on your bike, on and off road. Winners will receive the AltRider t-shirt of their choice and the chance to have their photography viewed by thousands of their fellow riders. 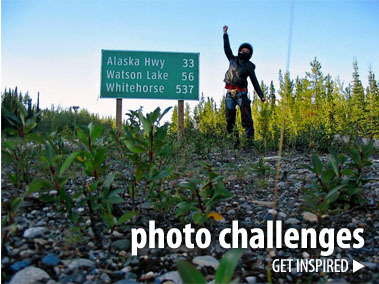 Visit the Photo Challenges page for the current challenge or to submit a photo.